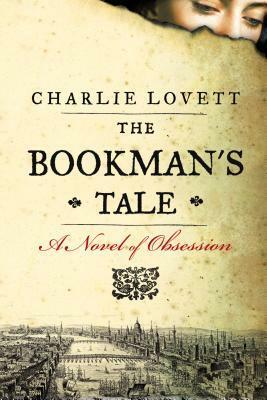 I had never heard of Charlie Lovett, but he sounds like an interesting man. He is a writer, teacher, and a playwright. He is also a former antiquarian bookseller, like the main character in his novel, and has collected rare books and other materials related to Lewis Carroll for more than 25 years. This book was an interesting literary journey through the last 400 years of rare book collecting and Shakespearean literature. If any of that appeals to you, than you may like this book. If not, than you might find some of the content and descriptions of book collecting, book conservation and Shakespearean times drag on a bit. For myself, I found it quite a learning experience. I didn’t know there was controversy over whether or not Shakespeare was the true author of all his plays. I had never heard of Robert Cotton and his extensive library that has been given over to the British library. And I didn’t know that Pandosto, written by Robert Greene, was the inspiration for Shakespeare’s A Winter’s Tale. There were three parts to this book. One being the historical and technical parts I just described, which made up my favourite parts of the book. There is also a mystery surrounding the original manuscript of the Pandosto written by Robert Greene, which I did get into after it got a little momentum going. The third part of the book took us back to the college years of the main character and how he got involved in the antiquarian bookselling world. It also involved the love story between the main character and his now deceased wife. This part of the book, in my opinion, could have been cut way back. I felt like too much effort was put into it, and it just didn’t convince me (it was a bit cheesy). If you have been reading my thoughts on books for a while now, you will know that I love sharing quotes from the books I’ve read. Usually for every quote I share, there are one or two that I don’t. The fact that I could really only find one for you from this book, I think, says a lot. He closed his eyes for a moment, imagining the cocoon of books shielding him from all danger, inhaling deeply that familiar scent of cloth and leather and dust and words. Despite my ambivalence about this book, I think the things I got out of it (including entertainment value) make up for the weaker parts. Has anyone else read or heard of this book? SOOOO going to read this. And scholars worth their salt know that Shakespeare wrote Shakespeare. The Oxfordians & co. make me furious. I don’t know if it’s because of my science background or what, but I had never heard of all this controversy about Shakespeare. It was definitely interesting to read about. And obvious where the author stood in all this. It flares up now and again. Some Shakespeare nerds/former PhD students (cough cough) take it to heart. I haven’t heard of this book, but your description makes me want to read it. Learning about the process of book collecting and conservation appeals to me. I find it interesting too. It reminded me a bit of The People of the Book by Geraldine Brooks, in which the main character is a book conservationist. Hmm…I think I would feel the same way as you – this sounds like a really wonderful and interesting learning experience! I’m interested but don’t know much about either. This sounds like a potentially intriguing book. I like it when books make me feel just a little bit smarter (in some way) than I did before I read them, which, I find, happens with most good books! I love that you include quotes from the books your review. Thank you for sharing this with us! I have this title requested at the library, but it is also on my wish list for possible purchase. Reviews are rather mixed (ranging from ‘I could hardly put it down from start to finish’ to ‘Ho-hum, too much this, too little that’) but it sounds good to me! Finished The Luminaries this weekend. Wonderful read! – kind of left me thinking ‘Uh-oh, now what?’ as far as fiction goes, but had a couple of nonfiction titles to return to. Should probably select one of the library books sitting here… Something will beckon in the next few hours… Enjoying your blog! It’s good to hear you liked The Luminaries so much! Mine stares at me every time I go to bed, and I want to read it, but I foolishly keep requesting books from the library. I’m going to try to make myself stop for a little while (or at least slow down). I think you will like The Bookman’s Tale! In my case it’s library books staring (glaring) at me. A couple will have to be, or have been, re-requested, one will go back unread because I think I’ll buy a copy, and the other two or three I can probably do without indefinitely. Started Orphan Train (partly because it’s short and I wasn’t looking for a major commitment ;), but may switch. Have you read it? I enjoyed this book, and was glad to have read it, but I wouldn’t put it at the top of your list.